COUNTRIES OF ORIGIN: Holland, Germany. The Sabelpoot is a very ancient breed and since 1600 it appeared on paintings. 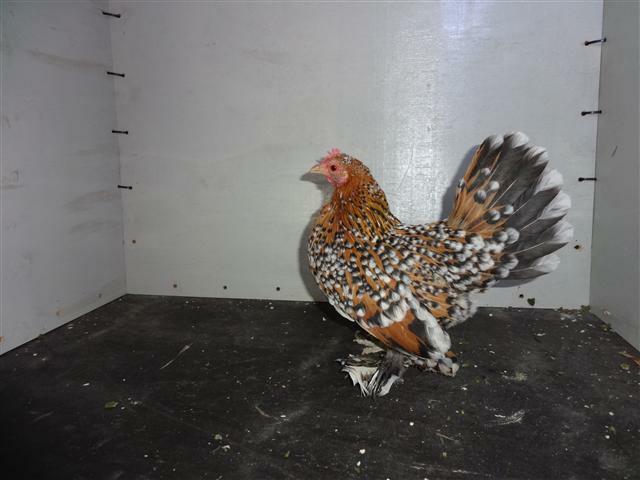 The famous Netherlands painter of fowls, van Gink, thought this breed to be originally from Java in Indonesia, but it is not proven. Probably there is a narrow relationship to the Chabo bantam. This breed was first seen on show benches in Europe round about 1850 and in 1949 a specialist club was found for ‘Nederlandse Sabelpootkrielen’. In the USA and the UK it is called the Booted Bantam and in Germany : Federfüssige Zwerghühn (mit bart oder ohne bart). 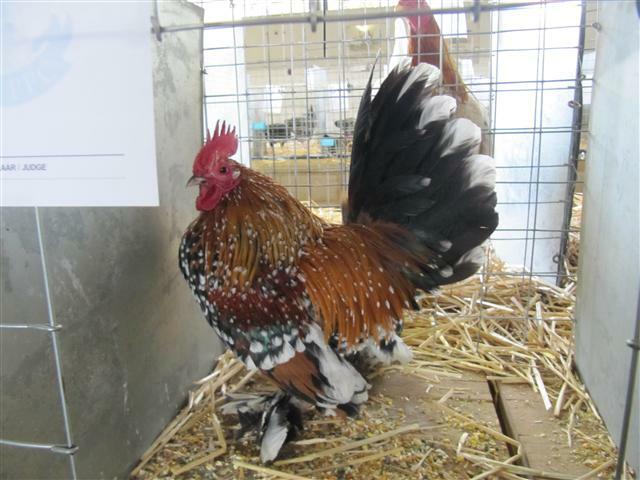 The breed is a true bantam with no large fowl counterpart and is usually beardless; there is also a Bearded Sabelpoot, but it is not so popular.The name Sabelpoot is definitely derived from the heavy vulture hocks, giving the impression of the down-hanging sword (sable) of a brave and proud soldier.